> Somnath is also known by different names like- Deo pattan, Prabhas Pattan or Pattan Somnath. It is believed that 2000 priests served the idol of the temple. 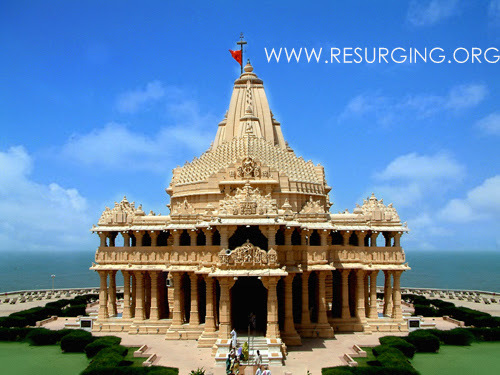 The Somnath temple has a long history attached to it. 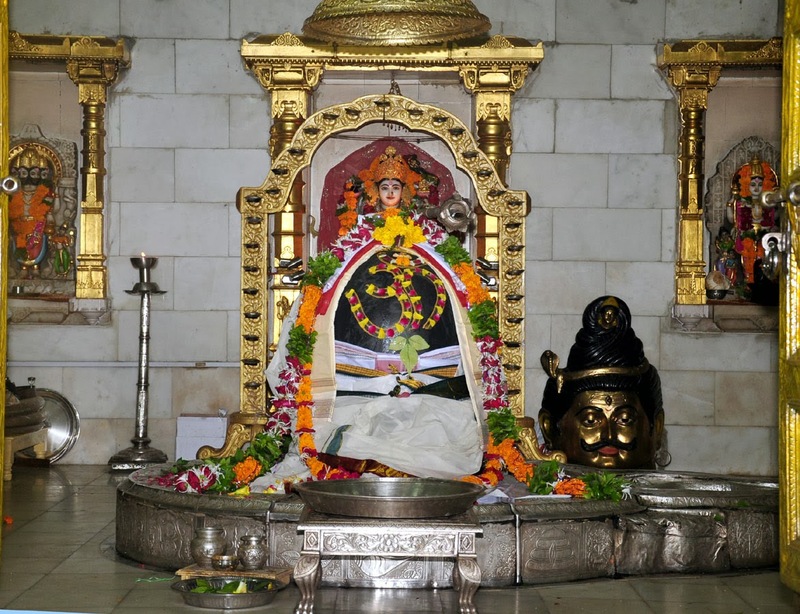 The first temple of Somnath is believed to have existed before the christian era. The second temple was built by the Maitraka Kings of Vallabhi in Gujarat. The Pratihara King- Nagabhata II constructed the third temple. The fourth temple was built by the Paramara King Bhoj of Malwa and the Solanki King. Kumarpal built the fifth temple and was again destroyed by Mughal emperor Aurangazeb. 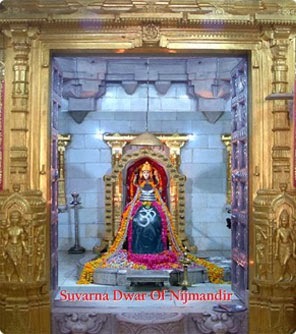 The present temple is the seventh temple and has been rebuilt and taken care by Shree Somnath trust. > It has withstood the six-repeated desecration by the Muslim invaders. The very existence of this temple is symbol of reconstructive spirit and cultural unity of our society. > The seventh existing temple is built in the Kailas Mahameru Prasad style. The Iron man of India Sardar Shri Vallabhbhai Patel is the pioneer of the existing temple. The temple is consisting of Garbhgruh, Sabhamandap and Nrityamandap with a 150 feet high Shikhar. > The Kalash at the top of the Shikhar weighs 10 tons and the Dhwajdand is 27 feet tall and 1 foot in circumference. The Abadhit Samudra Marg, Tirsthambh (Arrow) indicates the unobstructed sea route to the South Pole. The nearest land towards South Pole is about 9936 km. away. This is a wonderful indicator of the ancient Indian wisdom of geography and strategic location of the Jyotirling. The temple renovated by Maharani Ahalyabai is adjacent to the main temple complex. > Hari Har Tirthdham is here in Somnath. This is the holy place of Bhagvan Shri Krishna's Neejdham Prasthan Leela. The place where Bhagvan Shri Krishna was hit by an arrow of a poacher is known as Bhalka Tirtha. After being hit by the arrow, Bhagvan Shri Krishna arrived at the holy confluence of Hiran, Kapila and Saraswati and their Sangam with the ocean. He performed his divine Neejdham Prasthan Leela at the sacred and peaceful banks of river Hiran. > The Geetamandir is built here where the divine message of Shrimad Bhagavat Geeta is carved on eighteen marble pillars. Shri Lakshminarayan Mandir is close by. The Balramjiki Gufa is the place from where Bhagvan Shrikrishna's elder brother Balaramji took journey to his nijdham-patal. > Here is the Parshuram Tapobhumi, where Bhagvan Parshuramji carried out penance and he was relieved from the sin of Kshatriya killings. The Pandavas have said to have visited this place and taken holy bath in the Jalprabhas and built five Shiv temples. 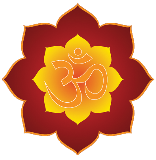 > Shree Somnath is first among the twelve Aadi Jyotirlings of India. It has a strategic location on the western coast of India. > Ancient Indian traditions maintain a close relationship of Somnath with release of Chandra (Moon God) from the curse of his father-in-law Daksha Prajapati. Moon was married to Twenty-Seven daughters of Daksha. However, he favoured Rohini and neglected other queens. The aggrieved Daksha cursed Moon and the Moon lost power of light. With the advice of Prajapita Brahma, Moon arrived at the Prabhas Teerth and worshipped Bhagvan Shiva. Pleased with the great penance and devotion of Moon, Bhagvan Shiva blessed him and relieved him from the curse of darkness. 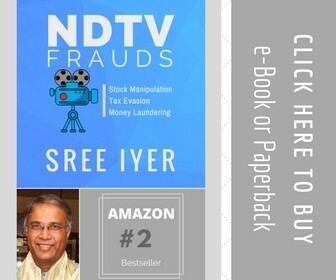 Pauranic traditions maintain that Moon had built a golden temple, followed by a silver temple by Ravana, Bhagvan Shree Krishna is believed to have built Somnath temple with Sandalwood. > The research based on ancient Indian classical texts show that first Somnath Jyotirling Pran-Pratistha was done on the auspicious third day of brighter half of Shravan month during the tenth Treta yug of Vaivswat Manvantar. Swami Shri Gajananand Saraswatiji, Chairman of Shrimad Aadhya Jagadguru Shankaracharya Vedic Shodh Sansthan, Varanasi suggested that the said first temple was built 7,99,25,105 years ago as derived from the traditions of Prabhas Khand of Skand Puran. Thus, this temple is a perennial source of inspiration for millions of Hindus since time immemorial. > The later sources of history account for several desecrations by Muslims invaders during eleventh to eighteen century A.D. The temple was rebuilt every time with the reconstructive spirit of the people. The modern temple was reconstructed with the resolve of Sardar Patel who visited the ruins of Somnath temple on November 13 1947. Then President of India, Dr. Rajendra Prasad, did the Pran-Pratistha at the existing temple on 11 May 1951. > Other spots in the temple are Shri Kapardi Vinayak and Shri Hanuman Temple in addition to Vallabhghat. Vallabhghat is a beautiful sunset point. The temple is illuminated every evening. Similarly, the Sound & Light Show “Jay Somnath” is also displayed every night during 8.00 to 9.00, which allows the pilgrims an ethereal experience in the backdrop of grand Somnath temple and the holy wave sounds of the Ocean. Ahalyabai temple is also close by, which was built by the queen mother Shri Ahalyabai Holker during 1782. This temple maintained the Pooja Parampara of Bhagvan Shiva during the hostile political conditions. long penance and he was relieved from the curse of Kshatriya killings by Bhagwan Somnath. Divine leela Parshuram is perpetnated here by a beautiful Parshuram Temple and two ancient kunds.